Each September in the lead up to Pitti Fragranze (the international perfume and fragrance trade expo held in Italy) I find myself awash with excitement; overwhelmed with an eagerness to learn which new stone has been plucked from the vast repository of jeweller / perfumer Olivier Durbano, and has been fashioned into one of his olfactive 'Stone Poems'. Last weekend, Olivier presented the eleventh scent in his series, Chrysolithe to a very receptive international audience. Today, Tuesday, a bottle has reached my desk here in Perth, much to the delight of a very adrenalised Sorcerer! Chrysolite is a name given in antiquity to any number of stones in the yellow/green spectrum. Today however, the term which was once give to a whole cornucopia of gems, has narrowed somewhat to describe chiefly one stone in particular: Peridot. This past weekend marked the 16th wedding anniversary of yours truly and Mrs Sorcerer, and quite by coincidence, Peridot is the stone traditionally given on this occasion. I'm sure Monsieur Durbano could not have imagined how well timed this release was; particularly as it has already taken place amongst my most favourite perfumes in his collection to date. It represents something quite unlike any other perfume he has released until now, and in fact, like nothing else I've ever smelled. Period. 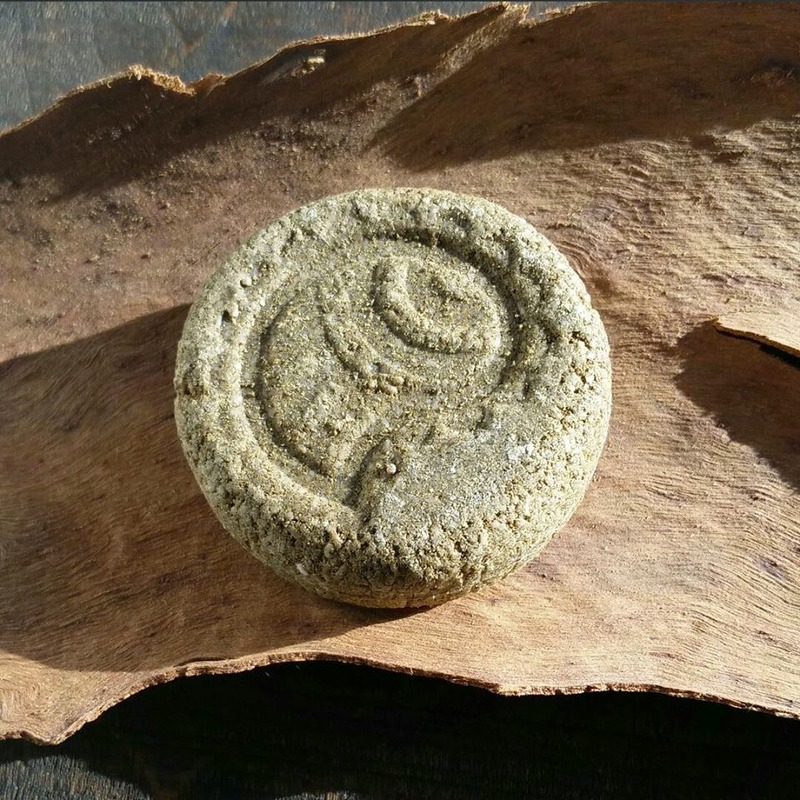 Chrysolithe has been referenced in the Holy books of many cultures and is a stone linked closely to the Gods. It is the stone said to have even been one of the foundation stones of Jerusalem, and it is right here that the artistic focus of this perfume becomes a lot sharper for me. Chrysolithe - the perfume - I find, straddles the line between the East and the West. It feels distinctly French in its approach, but in the olfactory register it veers more towards the Near and Middle East... a fanciful jaunt along the mesopotamian basin; green oases in the sands; hammered Persian gold; bustling soukhs filled with viridian hand-dyed silks. Chrysolithe opens with a sparkle of lemony-green verbena whose tartness is instantly diminished by the herbaceous spiciness of hyssop - a plant with a slightly camphorous quality. This is underpinned by a bouquet garni of cumin, black pepper and cinnamon which each lend warmth to the composition. A flash of ginger proffers a sharp 'bite' to the topnotes, and ushers in an aromatic heart of rosemary and sage. These notes feel dense and oily, but are broken up by flowering jasmine which adds a certain softness and roundness. A woody, earthy trail unravels, which at times - given the condiment-like piquancy of the top and heartnotes - flickers between musky and leathery animal facets in a somewhat astonishing fashion. Chrysolithe feels genderless and compelling... a perfume which for the most part in fact, defies adequate description. It is the perfect marriage between green aromatic accords and woody spicy notes...the sum of which surprisingly propel the author to landscapes dotted with whirling Dervishes, open desert fires under a rising crescent moon, and lumbering Bedouin caravans. 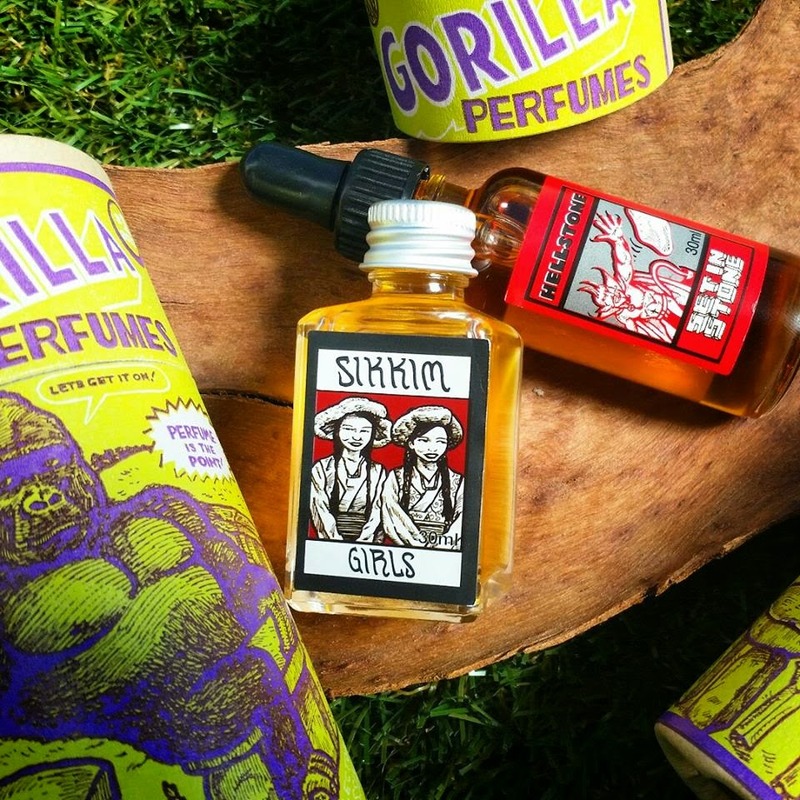 Oddly - for those familiar with Olivier's work - this is another of a small few scents in the series that do not carry his signature 'Durbano-ade' of Somali Frankincense, but that is certainly not to its detriment. Chrysolithe - whilst a unique and distinct creation unto itself - does not feel at all out of place in the distinguished company of its older brothers and sisters. In 2015, Olivier Durbano continues to prove he is a master of his craft, and indeed an accomplished interpreter of the stones that have enchanted him since childhood. 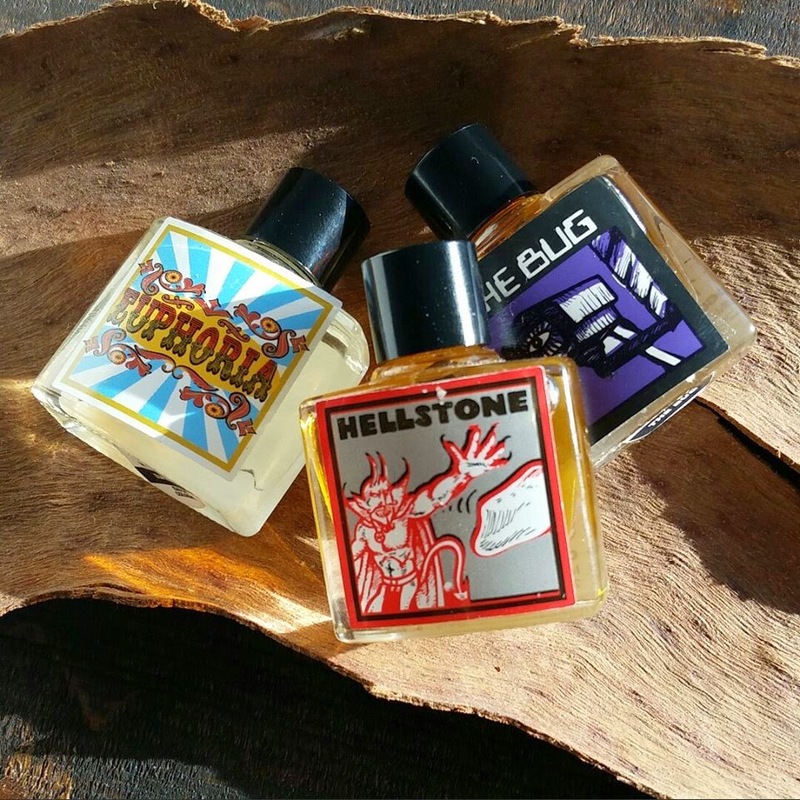 Chrysolithe is the olfactory apogee of his hard work this past year, and gives rise to more exciting additions as he continues his journey moving forward. Olivier's is a path that is paved with baubles both rich and rare, and I, for one, cannot wait to explore it with him. 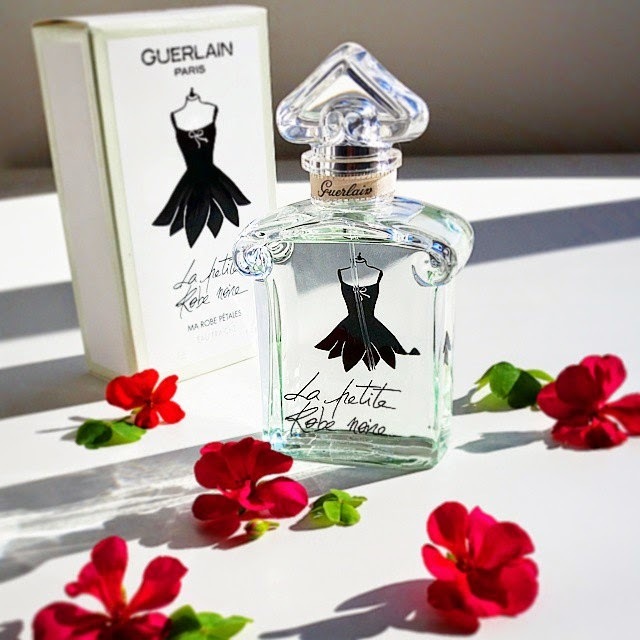 GUERLAIN: Dress Code - the ultimate refashioning of Habit Rouge? 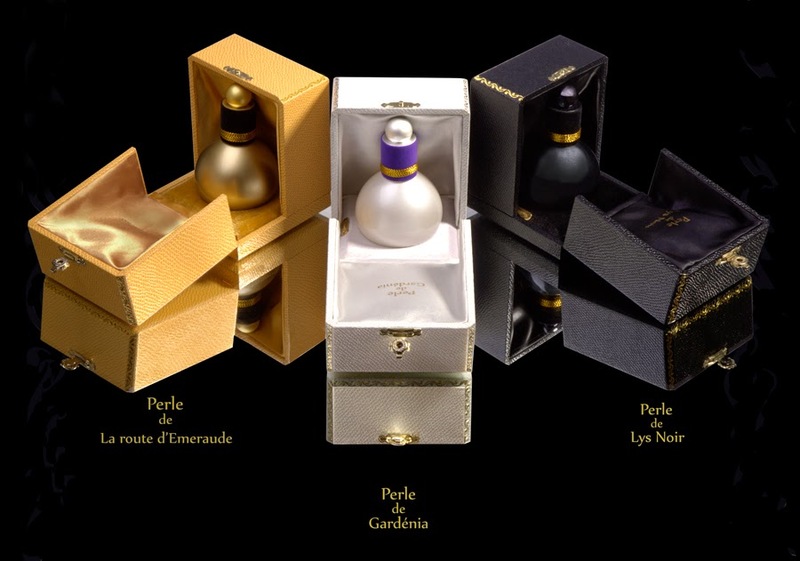 To many, Guerlain reside at the pinnacle of French perfumery where they have been held in high regard for almost two centuries. Within its bountiful history, countless perfumes have come and gone, but Jean Paul Guerlain's masterstroke of 1965 Habit Rouge is something of a perfume pillar Chez Guerlain... arguably their most beloved and revered masculine. Over the years Guerlain have tinkered with it - reprising it in every concentration imaginable, and shuffling components in its pyramid to try and achieve a flanker that can come even close to its legend. 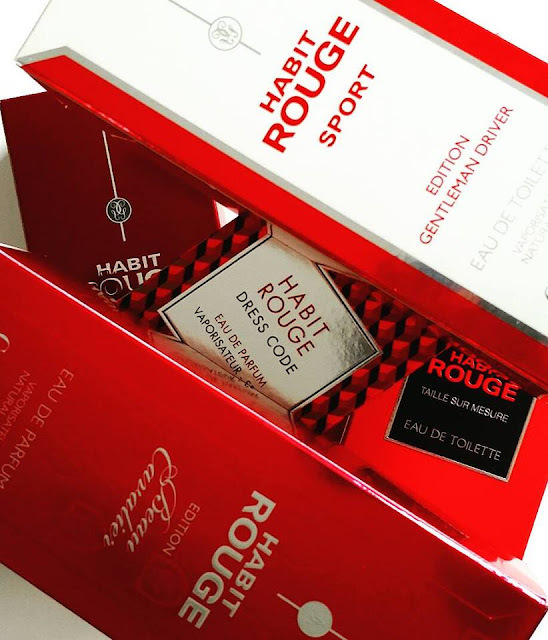 In 2015 - the 50th anniversary of Habit Rouge - master parfumeur Thierry Wasser has arguably pulled off the unthinkable... he has refashioned this timeless classic and given it a new lease of life. Habit Rouge Dress Code may very well mark the Mount Everest of flankers... can anything shoot higher than this new edition whose charisma might very well eclipse the original? I don't think I've been more excited about a flanker, um, ever. Dress Code takes all the aspects I love about the original and amplifies them... it creates an orchestral passage that increases in volume and force, drowning out the annoying white noise (those love/hate nuances) that dogged Jean Paul's creation. Today, Wasser paints from a palette that is partially his predecessor's and partially his own; Jean Paul's comprises vibrant pops of citrus and subtle tints of leather whilst Wasser's is rich with infinite shades of almond and toothy praline. The result... Wasser's considered reorchestration sees Habit Rouge galloping forth and leaping out of the 1960's and right into the here and now. Much like a museum-quality restoration of an old master, Wasser has removed the lacquer that has yellowed with age, exposing a colour spectrum that is infinitely more lively; the contrasts are more pronounced; the fonto more vibrant; the highlights crisper and whiter. Wasser has rendered Habit Rouge more relevant to today; heightening it's already-celebrated status to something stratospheric. 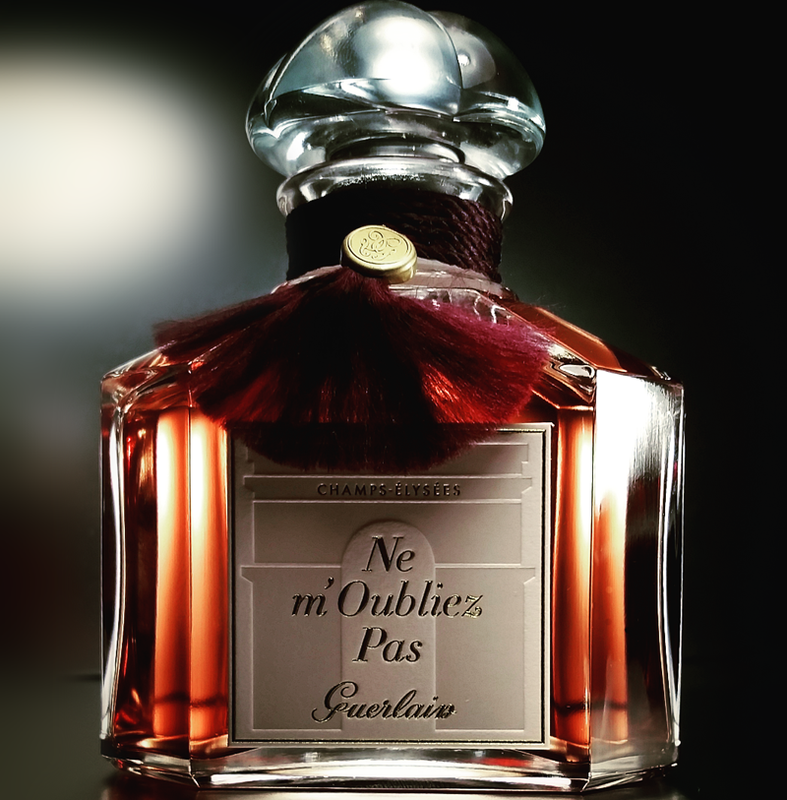 As with years gone by, if it is Guerlain's intention to release a Habit Rouge flanking edition every year, then in the years to come Dress Code will be hard to trump. To my mind - at least - it has achieved everything it could possibly wish to. It stands a head and shoulders above the L'eau's, the Legere's, the Driver editions and the Cavalier presentations. How sad it will be to crowd it and devalue it with countless more revisions, when frankly, Dress Code comes within atoms of pure perfection. In 2015, Hermès in-house parfumeur Jean-Claude Ellena continues to stroll in his garden to find a guiding light; one which will transform his 2012 creation 'Jour d'Hermès' into a paragon of femininity and fortunately he has done just that. This year, his eyes have settled upon the gardenia - a flower whose narcotising and mesmerising perfume has won the hearts of millions the world over. 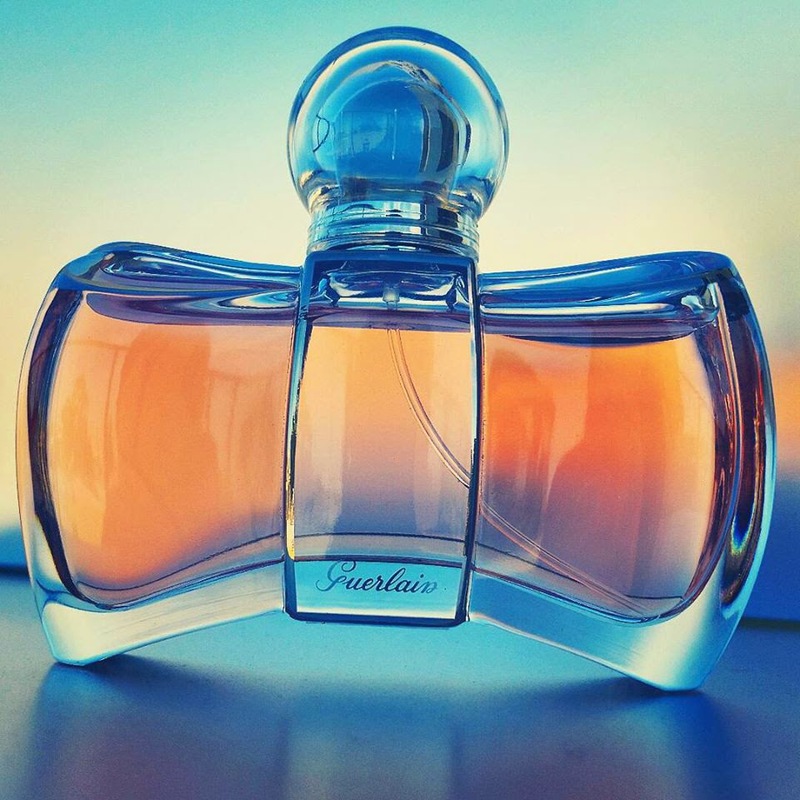 Jour d'Hermès Gardenia represents the dawn of a new day... a whisper of feminine charm laying just below the horizon; the anticipation of the beauteous sun about to breach the skyline before climbing in the filament. Illuminated by a single flower, gardenia serves as the backbone upon which this profusion of florals has been planted... Jour d'Hermès Gardenia is an aria to sensuality. Bursting with intoxicating blossoms of rose, jasmine and tuberose, they are dragged into the celestial orbit of the gardenia - a flower which has remained the symbol of womanly appeal for millennia. Straying somewhat from the Jour d'Hermès and Jour d'Hermès Absolute trajectory (but still managing to remain recognisable as their younger sibling), Gardenia is resolutely more delicate... the sensation of a zephyr of wind caressing the skin, or the gauzy, diaphanous tickle of silk dragged across the body. Jour d'Hermès Gardenia forms a luxurious vegetal/solar halo around the wearer. 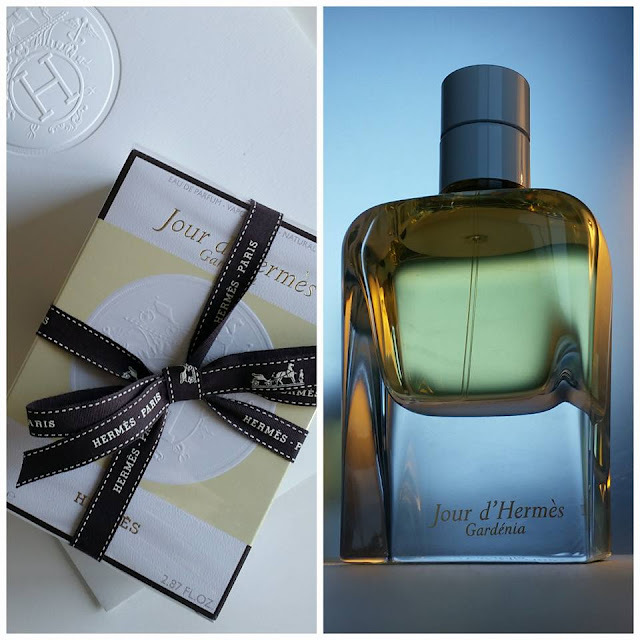 Already launched in Europe, Jour d'Hermès Gardenia will reach retailers shelves here in Australia this September, and as with all scents from the esteemed Hermès stable, it will not disappoint. Visit hermes.com for more information. Fellow West Australian perfume commentator and video blogger Rob (aka "Scent Gent") stopped by Casa SorceryofScent the other day to chew the fat and run through my current winter top 3. Rob has been creating a flutter lately in the perfume world with his engrossing and informative video blog / youtube channel. Be sure to check out his pages on Youtube, Facebook and Instagram! International "fast fashion" giants ZARA have a store pretty much in every major city nowadays, bringing affordable and trend-driven fashion and accessories to the mass market. Several times a year, Zara also create inexpensive perfumes to accompany each new seasonal release... its up to the individual to judge whether they're to one's own taste or not, but I, for one, do like to check them out from time to time. Back in 2009 I waxed lyrical about their fresh and chic 'Vetiver' cologne from their Perfumed Water series, suggesting that low pricing does not necessarily equate a compromise in quality. Six years on, and I've found another little nugget: Zara 7.0... a supremely aromatic woody fougere style fragrance that could happily grace any niche perfume lover's shelf. Packaged in unassuming pale grey-marle coloured boxes, 7.0 is one of three new releases (including 8.0 and 9.0, respectively) which - for me at least - fills a hole where theres something lacking in my fine fragrance wardrobe. Fortunately, the key notes are listed clearly on the bottle and box, so there are no ambiguous interpretations of individual components. 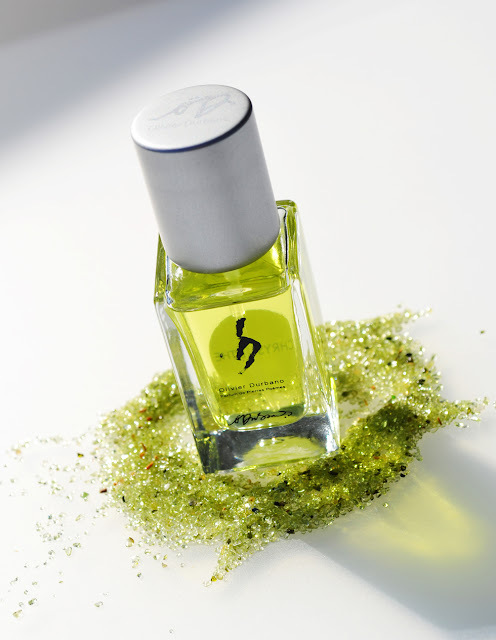 7.0 is a blend of Violet leafs [sic], Mint, Lavender, Geranium, Sandalwood, Musk and Cedar. Straight from the bottle (which looks conspicuously Hugo Boss-inspired), 7.0 takes flight with a jet of sparkling citrus and crisp mint. Moments in, and the sharpness recedes to reveal a lovely marriage between soft lavender and geranium (a slight lemony facet suggests perhaps pelargonium - a plant of the same family but different genus). 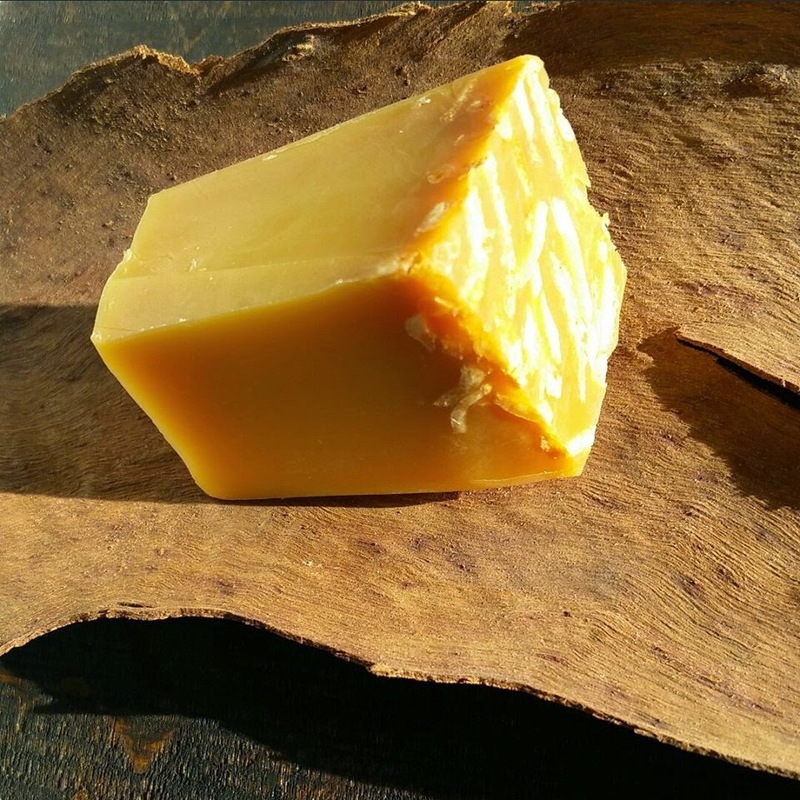 A rising cedar warmth presses up from below with a slight woody prickle in the nose, but a vein of sandalwood diminishes the sharpness and lends a curious creaminess to the mix. Fascinatingly, there is an unusual sharp green astringency that stays present well until the final molecules evaporate from skin. The overall feel is one of a delicate dance between botanicals and synthetics. It feels both classic and yet surprisingly contemporary. For those who relish the botanical feel of Bottega Venetta Pour Homme, or who is wowed by the digital green rendering of Costume National's Cyber Garden, then you will find a pleasing commonality here. 7.0 feels fresh and modern, yet not entirely unexpected. 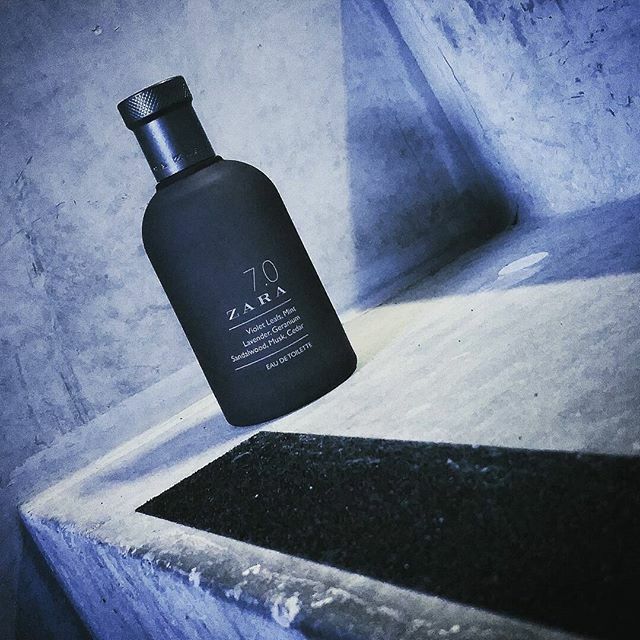 Zara continue to surprise with the occasional fragrance that could easily become a mainstay in any perfumista's collection. If you have the time and the nose for it (certainly there are some cheap shockers amongst them), then a stroll through both mens and womens perfume departments is time well spent. At $25 AUD (approximately $18 US / €16) for a 100ml bottle, at least no-one will be crying if after a time, it is pushed to one side when new fragrance toys are added to your perfume pool. 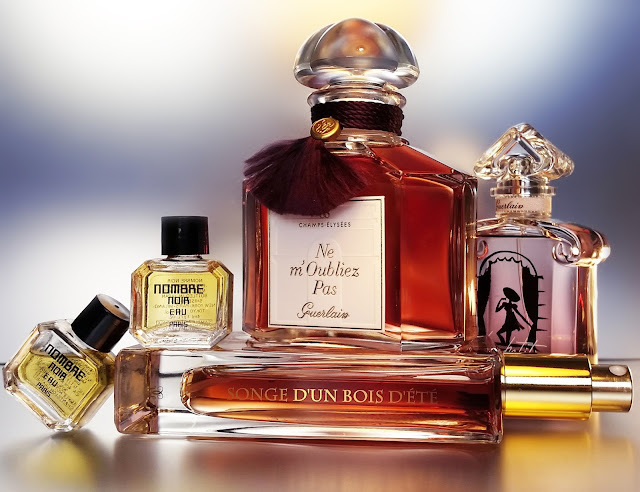 In 2003 - under the guardianship of in-house nose Jean-Claude Ellena - Hermès invited us to stroll through a garden in the Mediterrannean; Ellena's first olfactory exploration in the Jardins perfume series. Since then, we have been taken to examine the garden oases of southern Egypt; the fragrant lawns of India after the monsoon; the verdant green of a rooftop Garden in Paris, and now - in 2015 - Ellena takes us for a stroll in a perfectly manicured Chinese garden... Le Jardin de Monsieur Li. 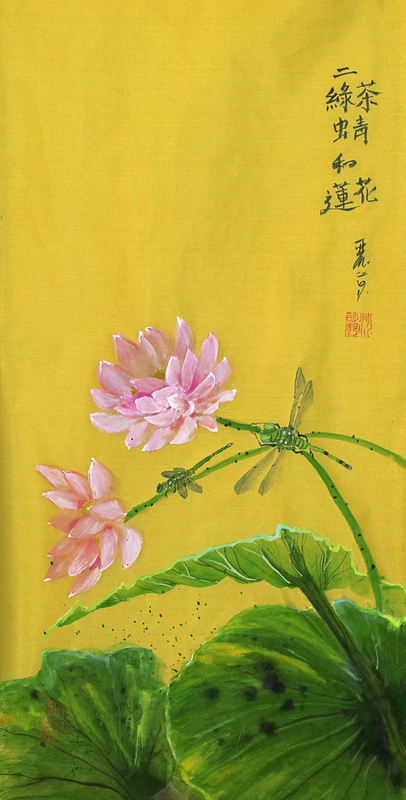 'Monsieur Li' is a purely fictitious character, but it is a name that communicates a sense of maturity and of even-handedness... of an individual whose efforts and dedication to cultivating his garden with such precision and love, culminate in a retreat that is every bit as gratifying to the eye as it is to the nose. It is a name with a certain charm and whimsy... a collision of East meets West; "Monsieur" being devoutly French, and 'Li" being resolutely oriental. 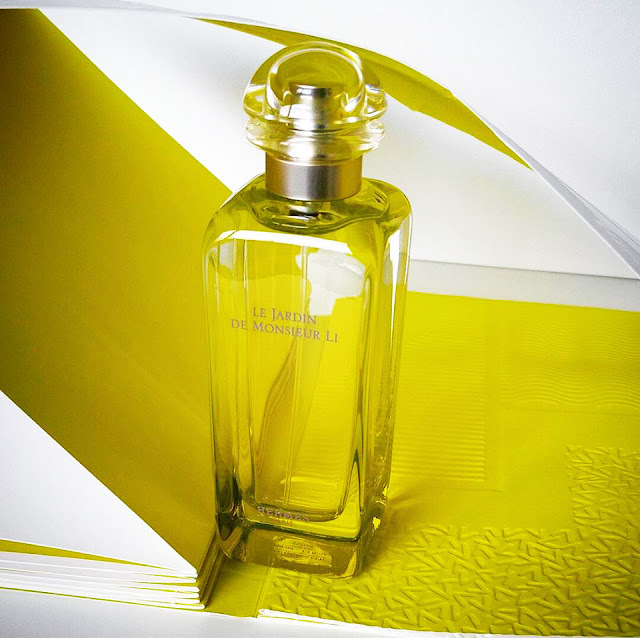 Not surprisingly, the name Monsieur Li speaks well of what one can expect in the bottle... that is, a tender olfactory essay in Chinese gentility and refinement, which has been approached in a conspicuously French way; a way which is unquestionably Hermès. "I remembered the scent of the pools, of the jasmine, the wet stones, the plum trees, the kumquats and the giant bamboo. It was all there, even the carp in their pond, taking their time to live to a hundred. The Sichuan pepper bushes were as thorny as roses and the leaves gave off a lemony scent. All that remained was to compose this new garden, one which contained all the others." 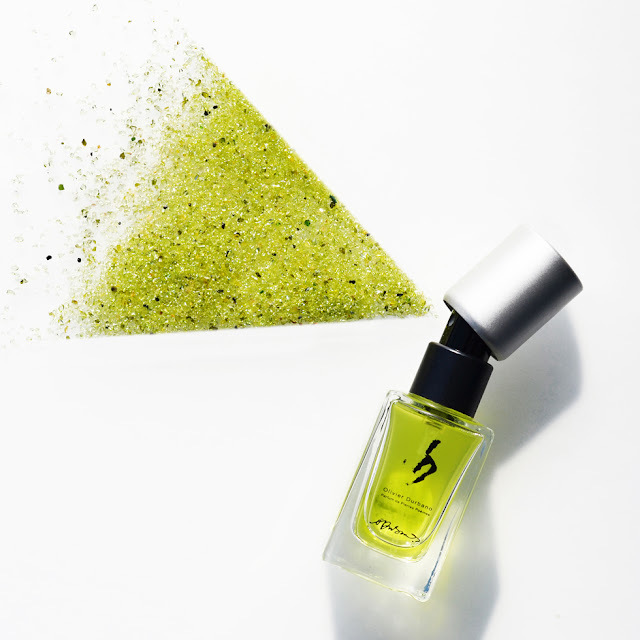 The flight of this perfume is a bright citrus with an unusual aromatic green undercurrent... it dances between notes of bittersweet kumquat and jade-colored aquatic accords. There exists a sense of balance and refinement right from the outset... a curious symmetry between components that feels effortless and precise; Ellena's very own Chinese 'masterstock', perhaps. Jasmine is listed amongst the olfactory notes declared on the outer packaging, and indeed one can find it there, but there appears to be an assortment of flowers that are not mentioned in the accompanying pyramid; rose? peony? magnolia? Again, Ellena has woven them all into the tapestry of this perfume with such mastery, that they are difficult to distinguish. The overall feeling however, is one of tenderness, filtered light, and an accomplished marriage of the elements, earth, water and air. Monsieur Li feels incredibly diaphanous - as thin as Chinese rice-paper lanterns, and as semi-transparent as blooms of coloured ink dropped on wet watercolour paper. Over the hours, it tapers into a fine mist of clean musk and blonde woods. As far as the Jardins series goes, Le Jardin de Monsieur Li takes up residence comfortably amongst it's older siblings and feels very much a part of the broader picture. Collectively, Ellena's Jardins creations form an aria to genderless perfection, each with a proficient sense of lightness and harmony. Le Jardin de Monsieur Li is available internationally from March 2015, and will launch here in Australian department stores, Hermès boutiques, and on the Australian Hermès website this September. The Different Company - WINNER! 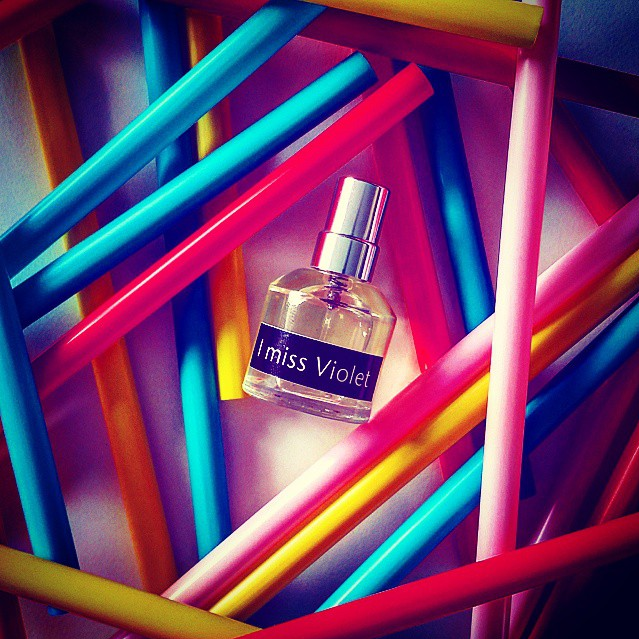 CONGRATULATIONS to our competition winner CurlyJo, who has won herself a 10ml The Different Company manufacturers sample of the delightful "I Miss Violet" eau de parfum! CurlyJo, please send me an email or private message via the Sorcery of Scent facebook page with your details and it shall be sent off to you this week. Thank you to all those who submitted their entries and recommendations via the blog and facebook page - I shall endeavour to try them all! Stay tuned for more perfume banter and giveaways! I'm the first to raise my hand when my knowledge and experience is lacking, so I'll confess from the outset and declare that my exposure to The Different Company perfume portfolio has been very limited. Living in the most isolated city (of more than 1M people) in the world, Perth has it's geographical challenges, so its really only whilst vacationing or ordering online that I have access to certain brands. With a small decant sent to me by a fellow perfumisto of the delectable Bois d'Iris notwithstanding, earlier this year I was offered the opportunity to experience my first fragrance from The Different Company, so of course I was enthusiastic. With Sorcery of Scent now well into its seventh year, I'll also plainly proclaim that these days it takes rather a lot to wow me, but when my tidy 10ml sample of TDC's newest offering arrived a few weeks ago, I must announce I was pleasantly surprised. The offspring of master perfumer Bertrand Duchaufour, "I Miss Violet" is a colourful feather to add to The Different Company's vast back-catalogue of fragrances. To date, my appreciation of Duchaufour's oeuvre has been a little hit and miss; to my nose Amouage's Jubilation XXV is an epic thrill, whilst Enchanted Forest for the Vagabond Prince made me recoil in disbelief, however I Miss Violet has restored my faith somewhat and allowed me to dig my heels in as more of a fan. In 2015, Duchaufour's muse is Violet, a globe-trotting young woman who gives in to her fancy and traverses the world following her heart, her work, and her passions. In a sense, this inspirational figure translates well into what we smell in the bottle... I Miss Violet feels carefree (but not reckless), lively, vivacious, self-assured. 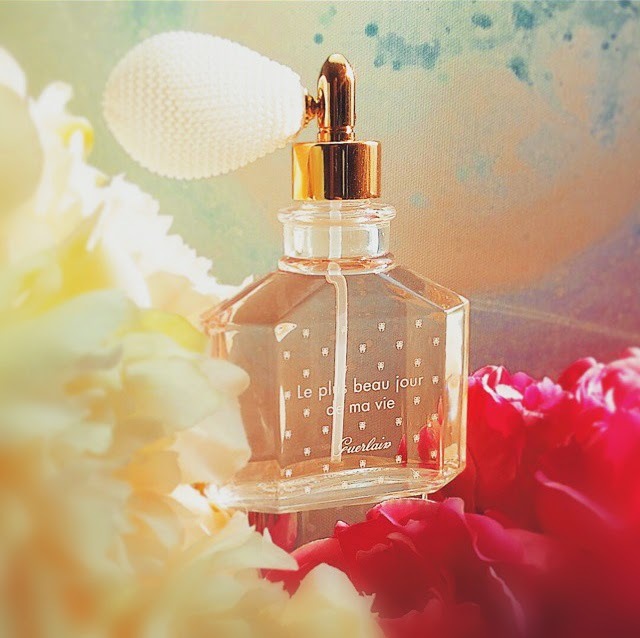 The perfume's flight is dominated by the powdery prickle of violet, a champagne accord, and nutmeg... a delicate powdery softness with an effervescent sparkle - like a sassy glance, or wink from beneath feather-like lashes. There is a vein of silver/green rising from below... a viridian balloon of perfumed air pressing up from beneath; violet leaves, husky iris and aromatic basil. The dry orris accord swims parallel to a growing seam of soft napped suede; a gauzy leather facet that steps forward, but remains courteous and well-behaved. I Miss Violet is the embodiment a young woman who has just stepped across the threshold into adulthood... one who has found her feet, and her insatiable apetite to collect experiences. As the scent evolves on skin, the powdery soft floral accords start to recede and a warm, balsamic - dare I say animalic - component shifts to the fore; a sassy and seductive ribbon of ambergris make's Violet's intentions clear... she is passionate person, and despite her worldly obligations, longs for love. Without much of a grasp on the Different Company's previous releases, I can only imagine I Miss Violet is aimed at a younger demographic, however that being said, I see no good reason why this perfume can't be enjoyed by men and women of all ages. In the same way perhaps Guerlain's Météorites or Chanel's Misia both enchant with their floral-powder semi-saccharine prettiness, I strongly predict that I Miss Violet will find a broad appeal. I Miss Violet is an eau de parfum, available in 50ml size now available via select retailers online and offline. Visit www.thedifferentcompany.com for more information. 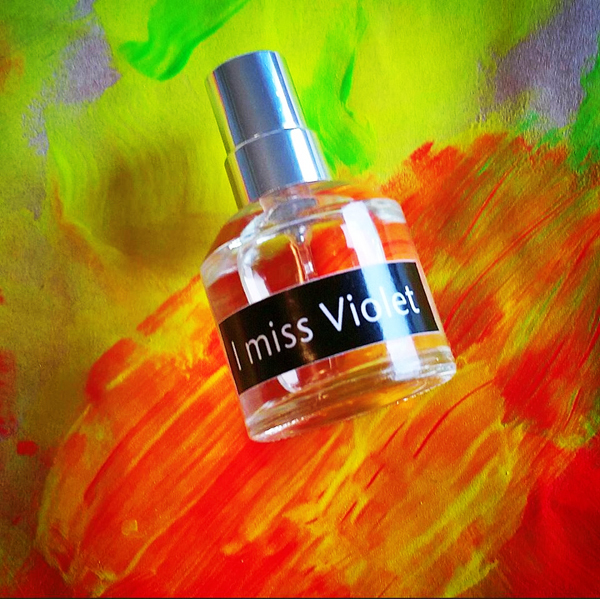 Sorcery of Scent has one 10ml spray sample of I Miss Violet to give away to one lucky reader. To enter, simply post a comment in the comments field below and tell me which other The Different Company fragrance you would recommend I try, and why. To double your chances to win, you may also 'Like' the Sorcery of Scent facebook page and re-post your comment on the Different Company post that has been published over there. The winner's name will be drawn and shared here on Monday June 22nd, 2015. Guerlain: Mon Exclusif - looking for a low GI option? "Mon Exclusif" is the newest perfume release by French perfumers Guerlain... a name which feels as all-encompassing as it does maddeningly vague. It would appear that the LVMH marketing machine behind the brand are cashing in on the concept of "exclusivity for all" with this affordable fragrance that asks you to christen it with your very own title. Mon Exclusif comes presented in a clear glass flacon which is a modern rendition of the gilded bow-tie bottle made famous in the 1930s to house "Coque d'Or" and "Dawamesk". With it, Guerlain have provided a sealed packet of adhesive silver letters which you can use to personalise your bottle. 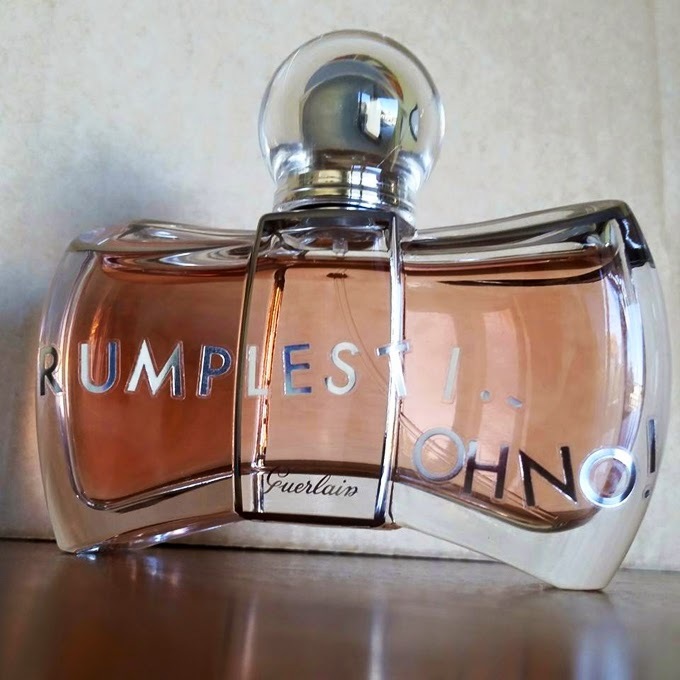 This is a nice idea in theory, but in reality, yours truly dislikes the cheapness of the letterforms and indeed their gargantuan size, which frustratingly would make it quite impossible for me to name my dream scent Doppelganger or Onomatopoeia. Aside from this shortcoming, the bottle itself is prettiness personified; its facets outlined in silver to underline further an après-Deco feel. So how does it smell? Well off the bat, whoever suggested it is a modern, sweeter version of Jicky needs some significant rhinoplasty. Granted, a huff of aromatic lavender in its flight may be a common accord shared between Mon Exclusif and the House's afore-mentioned 126 year old giant, but the similarities distinctly end there. Mon Exclusif is sweet... tooth-achingly sweet. If you have an aversion to the candied purple buzz of Insolence or the fudge-dense chewiness of the L'Art et Matiere offerings, then Mon Exclusif will raise your glucose levels through the roof! Sweet mandarin and zesty bergamot meet the nose, followed by a familiar candied almond accord which one can find in both L'Homme Ideal and LPRN... this is wrapped in lavender sugar and nectar-like solar accords that I sense present perhaps in Aqua Allegoria Lys Soleia. Bittersweet iris and clean white musk are combined with a burnt sugar accord, the sum of which act as a fondant poured generously over the whole composition. It is this sticky vanilla/toffee that lingers on skin and in the nose for many hours. If I'm honest, I can't say I understand Guerlain's fondness for the slew of gourmand creations leaving their factory in abundance of late. Whilst Mon Exclusif is pretty and sure to become a favourite for some, a part of me would certainly give my left gonad to welcome a new mainstream chypre to the Guerlain portfolio... one devoid of a single sugar-dusted almond, nutty praline or saccharine pink berry. Mon Exclusif will surely charm perfume laypersons, but I predict that serious perfumisti will be left wanting more than a pretty collectable for their scented treasury. 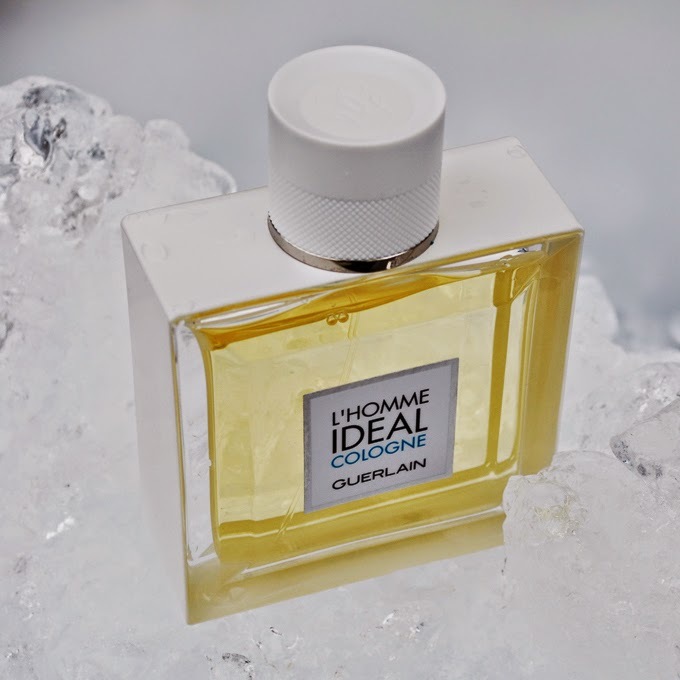 With the onset of the Northern Spring, Guerlain have released a duo of new flankers based around two mainstays in their vast perfume portfolio: L'Homme Ideal Cologne and Shalimar Cologne. 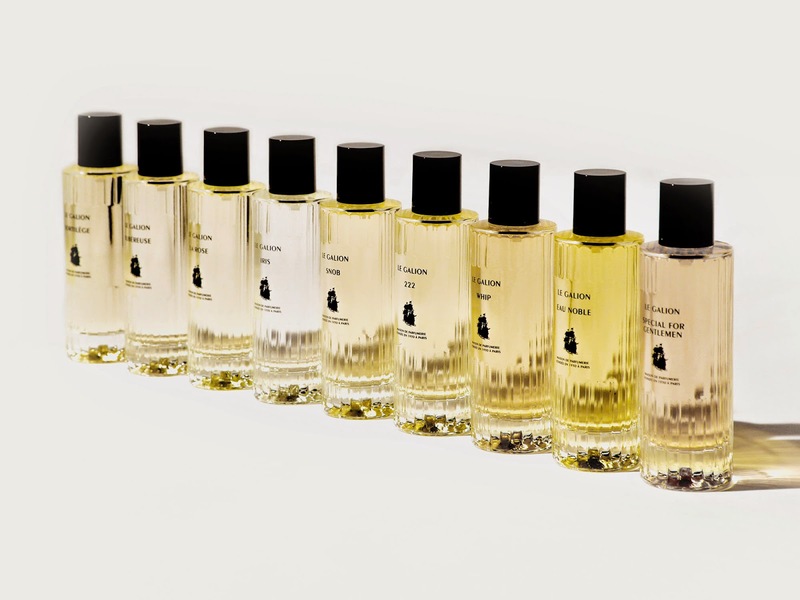 Traditionally, with cologne referring to the lightest of perfume applications, rather peculiarly, both are in fact eaux de toilettes... they represent Thierry Wasser's interpretation of classic colognes but are presented in a more generous concentration. In 100 words or less (no mean feat for a rather indulgent and wordy Sorcerer), here is my personal take on them. A fresh, zesty twist on 2014's triumph L'Homme Ideal, the new Cologne version abandons the glorious praline and sweet-tobacco facets of its older sibling and instead infuses the composition with a good dose of grapefruit... its bittersweet citrus tang steers it away from the comforting ombré of sensual autumnal warmth and instead, sets a course for crisp and sheer summer briskness. From the bottle, the bright pamplemousse flight and green vetiver notes produce a fleeting cypressy vibe, which lends a sense of Mediterranean sun. The signature heart of almond and neroli shares a welcome, familiar footprint with its wonderful older brother. 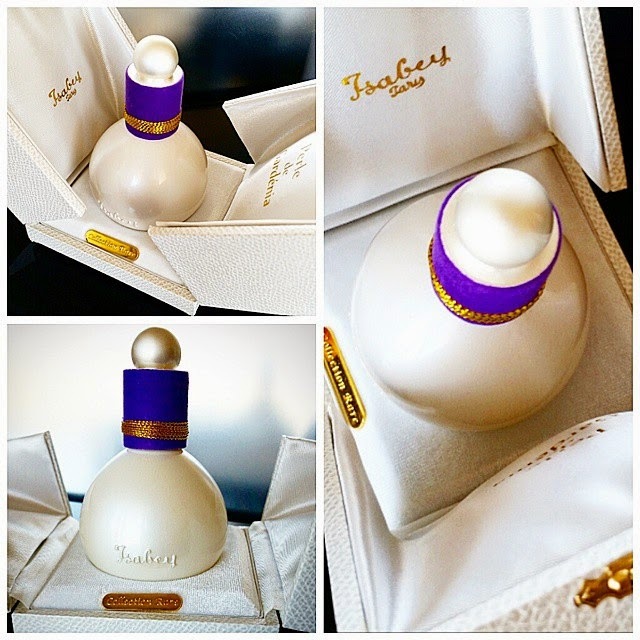 Lovers of the highly-venerated (long discontinued) Shalimar flanker "Eau Légere" rejoice! 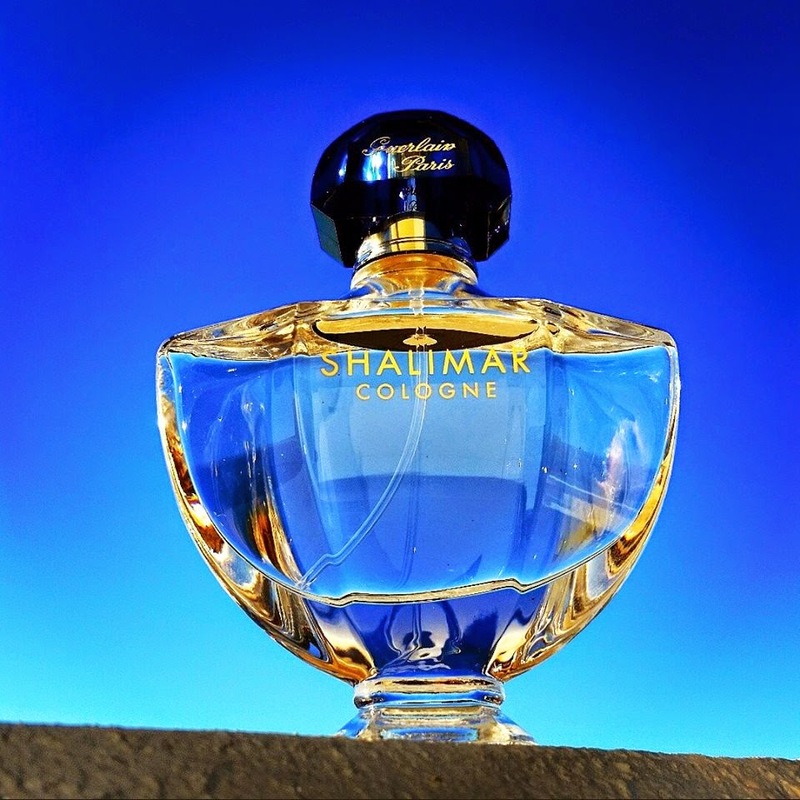 This newest take on the world's first Oriental perfume, Shalimar is an exceptional rendering which runs somewhat parallel to Mathilde Laurent's limited edition creation of 2003. 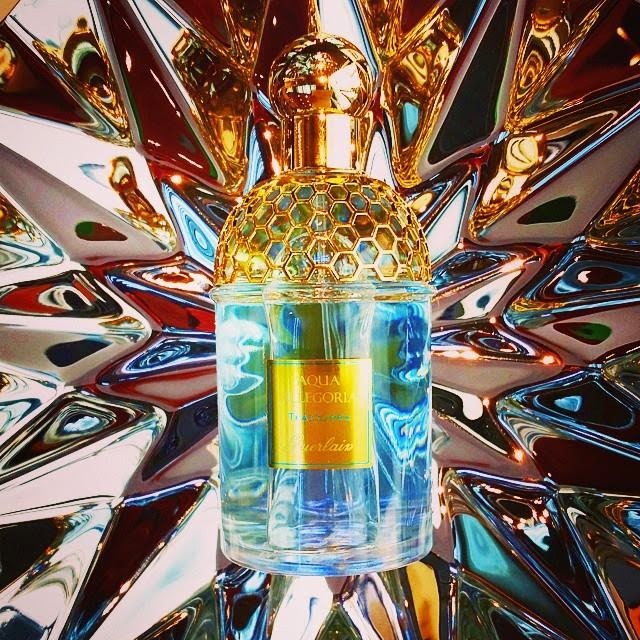 Thierry Wasser has infused Shalimar Cologne with an effervescent burst of lemon/bergamot and grapefruit and a scattering of rose, jasmine and freesia. A sensual trail of clean musk, iris and vanilla make for a tender caress on skin which - despite it's fresh and modern charms - remains distinctly Shalimar. An updated and gratifying release which doesn't claim to steal its famous Grandmother's thunder. 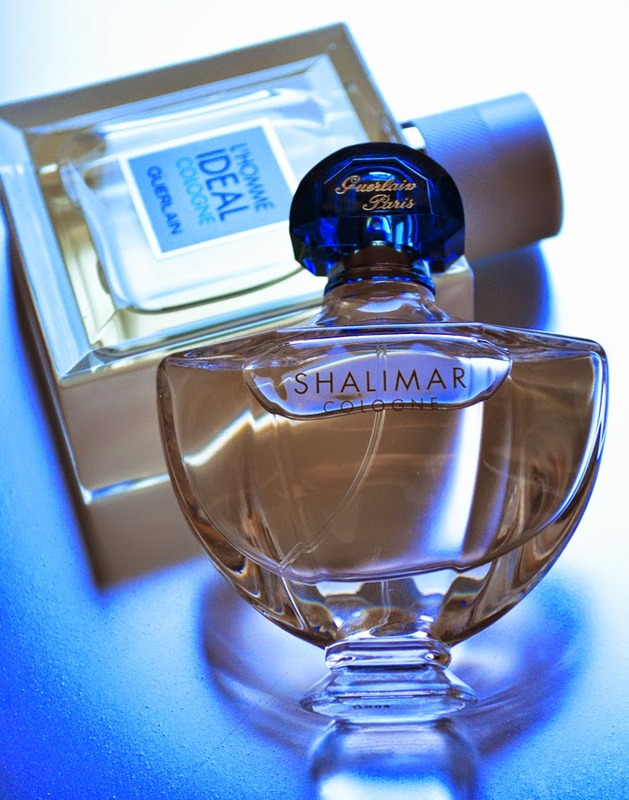 L'Homme Ideal Cologne and Shalimar Cologne are both currently available on the Guerlain website and in select travel retail outlets, and will be rolling out to other Guerlain doors imminently. All too often we - as perfumisti - bemoan perfume reformulations, citing any measure of tweaking to a highly-regarded scent as a ghastly abomination. 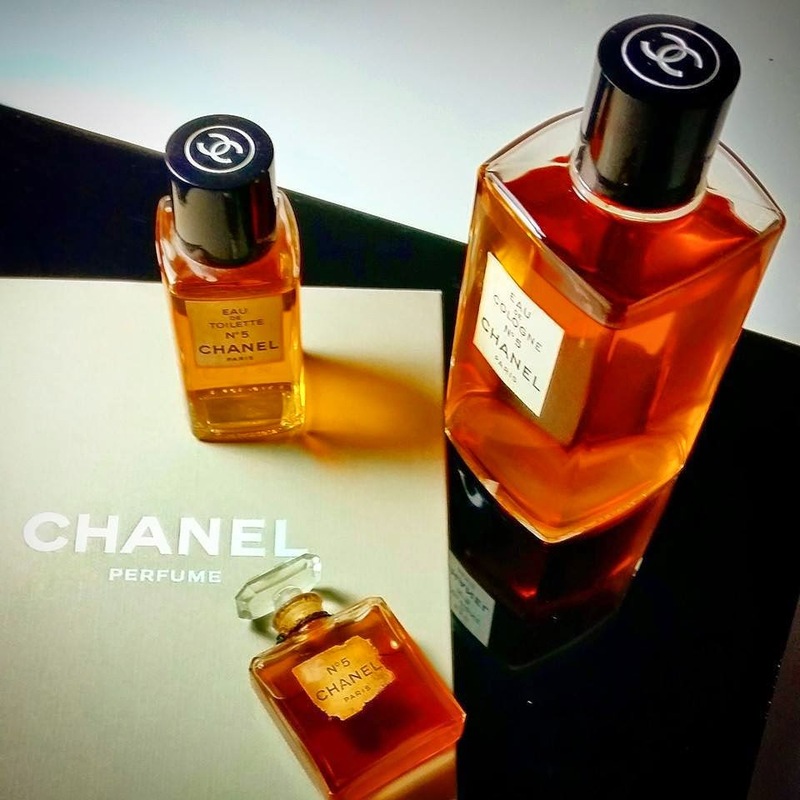 And yes, occasionally it is with good reason... indeed, newly imposed restrictions on certain natural raw materials have impacted upon some of the classic perfume pillars of the past. In this day and age, however, we are seeing something of an upswing in the way synthetic materials are being produced... ones that today, are rarely distinguishable from the organic source from which it's smelly molecules were appended. If I'm frank though, I've about had enough of whining 'aficionados' instantly writing off beautifully-executed reformulations and reissues of time-honoured perfumes without getting to know them better first. It must be incredibly challenging for an established House that has endured the ebb and flow of wartime, fickle trend and financial collapse to gather some traction in a fussy modern market when re-introducing perfumes from their illustrious past. Sometimes - just sometimes - I think that the merits of a house should be solely measured by what sits on the shelves today... not those that graced our dresser tops during the Great Depression. 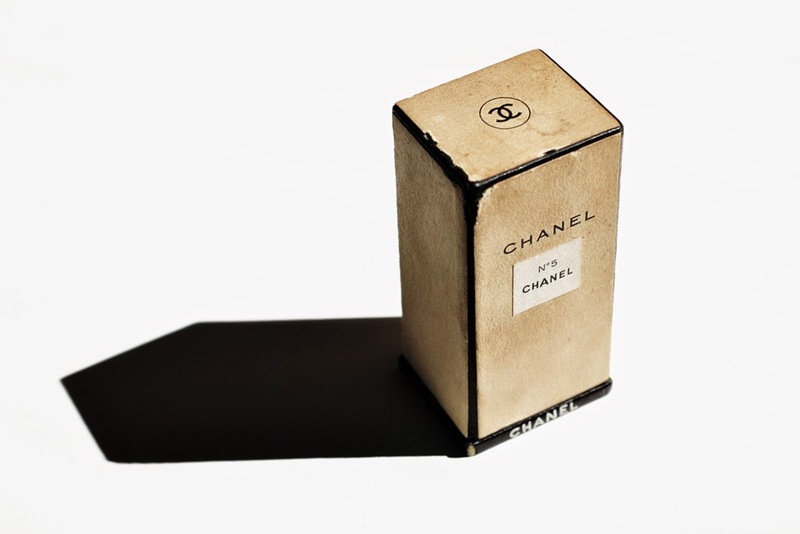 We no longer live in the 1940s; no longer have the same tastes; no longer have the same cultural cognisance, and are now - by comparison - a chiefly non-smoking society... why then, should we aspire to reach for perfume relics of the past? 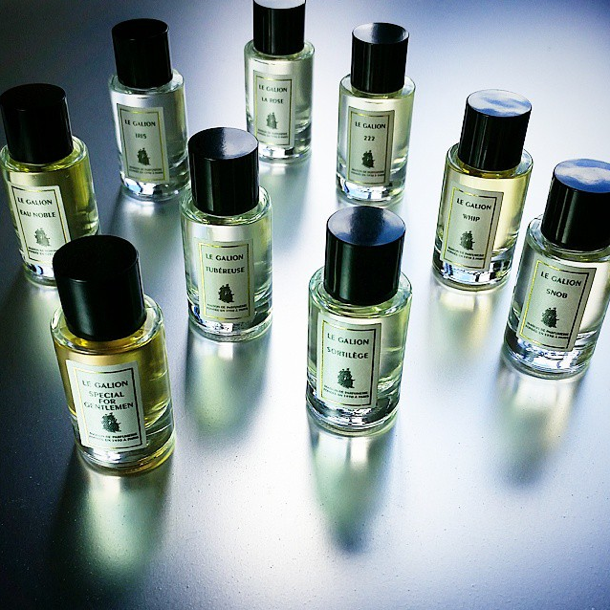 Le Galion is one Maison de Parfumerie that I feel strongly ought to be approached with an open mind, a welcome nose, and perhaps most importantly, a keenly modern perspective. Founded in Paris in 1930, 'Le Galion' was named after a sea-faring Galleon vessel and evoked thoughts of adventure and escape to far-flung isles. With master perfumer Paul Vacher at its helm, Le Galion set sail for success in the 1930s to the 1950s with the launch of a string of iconic perfumes such as Sortilege, Snob and Whip. These scents - much like many of its French contemporaries - succeeded in penetrating the global psyche and were known the world over. Vacher - an esteemed perfumer, has left his fingerprint on not only the Le Galion collection, but also authored Dior's legendary 'Miss Dior' and her younger sibling 'Diorling'. In fact, Vacher's consummate reach into the global consciousness saw Le Galion sold in 97 countries by the mid 1960's. So why - we must ask - is the name Le Galion seldom known or heard of today? The answer is simple... after Vacher's unexpected passing in the 1970s, the sale of the company to an American conglomerate saw the new management run Le Galion aground. By 1980, the House had all but vanished, leaving barely a trace of its venerated past in its wake. Fortunately, in 2015 Le Galion was resurrected once more and is now in the reflective and sensitive hands of French ownership for the first time in over 30 years. Director and major share holder Nicolas Chabot is working hard to restore the brand to its former acclaim. To date, Le Galion have relaunched 9 captivating scents from their impressive back catalogue; the jewel in the crown arguably being the highly-revered Sortilege... a scent that stormed the world both pre and post WWII. But it begs the question... does Sortilege - a scent created some 80 years ago - still remain relevant in the here-and-now? Are its wiles and charms that once bewitched flappers and sheiks, silver-screen sirens, soldiers and sweethearts suddenly lost on the selfie-snapping sheila of 2015? Well, it would be one thing to compare and contrast old and new - to pick apart accords and write reams about reformulation... but I feel it would be of little consequence. Le Galion today - whilst observing a keen sense of tradition - is something to be discovered carte blanche. Nine exquisitely-crafted reissues just beg to be explored... and as yours truly can attest, one could not wish to be taken on a more thrilling journey! Here's where I haul anchor and set a course to briefly touch upon each of these 9 'modern' classics. The highly venerated perfume upon which the House's reputation was built is every bit as enchanting today as I expect it was yesterday. A floral-aldehydic flight hints at the golden splendour of yesteryear, whilst narcotising notes of jasmine, mimosa, narcissus and rose reside at the tremoring heart of this composition. Sortilege feels commanding and assertive, without a hint garishness and pretension. A woody, ambery, musky trail leaves a captivating wake, which is resolutely feminine and devoutly self-assured. Whilst its name might suggest a touchstone tuberose soliflore, Tubereuse is far from it. A prepossessing perfume with a delightfully saccharine opening, it feels like air-spun candy with a whisper of pear and pink berries. Its nucleus, however, is steeped in the carnal warmth of tuberose, rose and orange-flower which steers it away from a simple sugary lolly-water to a delectable and somewhat wanton scent, awash with sensuousness. An ambery, musky foundation renders Tubereuse a enchanting feminine that and fascinates and surprises. Another perfume poem rhapsodising over a single flower, Iris is a spectacular study in elegance and refinement. Not too dissimilar to Hermes' Hiris in it's approach, Iris not only takes a snapshot of the deep purple blooms, but also gives a sense of the whole plant. A sparkling citrus flight with a huff of velvety ambrette draws one's nose to the beautiful dry iris note at its heart. A sense of deep, earthy green is furnished by galbanum and cedarwood - the sum of these components paints an impressionistic canvas with mottled purples and silvery-greens. Infinitely sophisticated and adamantly appealing. After the atrocities and paucity of the second World War, the world saw a gradual return to luxury and lavishness. In response to a shifting post-war cognisance, Le Galion released Special for Gentlemen, which even today suggests sumptuousness and a sense of impeccable grooming. An incredible blend of citrus, lavender, spices, resins, animalic notes and oakmoss, Special for Gentlemen calls to mind the fresh yet lingering Jicky or Mouchoir de Monsieur - both mainstays in the Guerlain perfume stable. Noble refinement and savoir faire personified. An ode to femininity, La Rose is a captivating floral which combines the cashmere softness of violet, peach and rose to evoke the velvety texture of warm, unsullied skin. A sensual penetrating vein of ylang ylang, lily and patchouli lend a flush of desire to the composition, whilst a vanillic/musky base creates a bewitching sillage. Pretty, youthful and unspoiled... a blushing virgin whose hair dances on the air and laughter rings in the ears. Once touted as the "most exclusive perfume in the world", the delightfully named Snob brings a new nuance to the Le Galion portfolio with a rousing blend of fruits, flowers and spices. 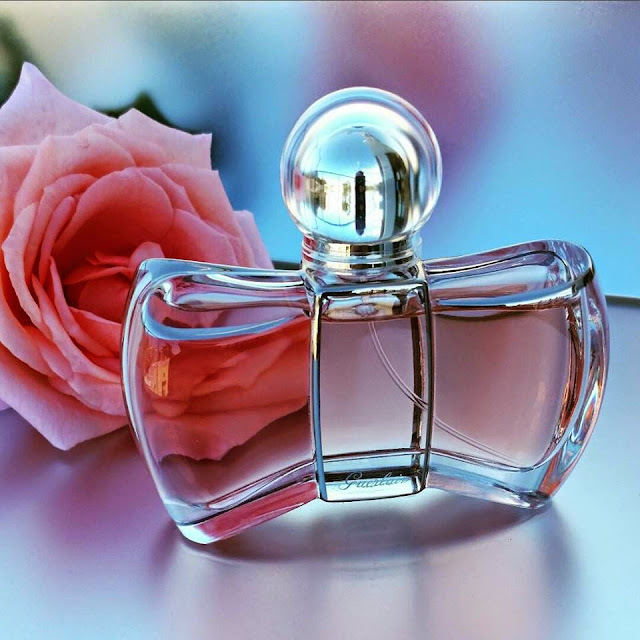 To a modern nose, it feels somewhat middle eastern in style, in that it holds notes which have been used in perfumery across the Arabian peninsula for millennia, specifically jasmine, rose, saffron and sandalwood. Snob - just as the name might suggest - is bold and commanding... an "all eyes on me" scent perfect for large social gatherings. Whilst brimming with components reminiscent of the souks and medinas of the East, Snob surprisingly manages to stay infinitely French in its execution. Very much a return to the tradition of classic cologne, Whip has a timeless appeal with its blend of sharp citrus and stirring aromats. Crisp bergamot, fragrant tarragon and soft lavender pay tribute to time-honoured perfume pillars of the past, but its the foundation upon which all these notes have been assembled that perhaps gives Whip its backbone: vetiver, patchouli, oakmoss and bitter leather. Originally intended for men, Whip resides in the same universe as Dior's Eau Sauvage or Chanel's Pour Monsieur. Old school, but in all the right ways. As Le Galion stepped over the threshold of the 70s, a social revolution was taking place in which gender lines and gender roles were swiftly being blurred... Eau Noble was created from this movement as a universal scent for both men and women to enjoy. A beautiful soft leather fragrance, Eau Noble is brimming with fresh citrus, woody-green galbanum, green sage, fragrant lavender, geranium and oakmoss... the sum of its parts feel every bit as dignified and striking as its name implies. An ageless composition that still feels very relevant and equally as engaging today. 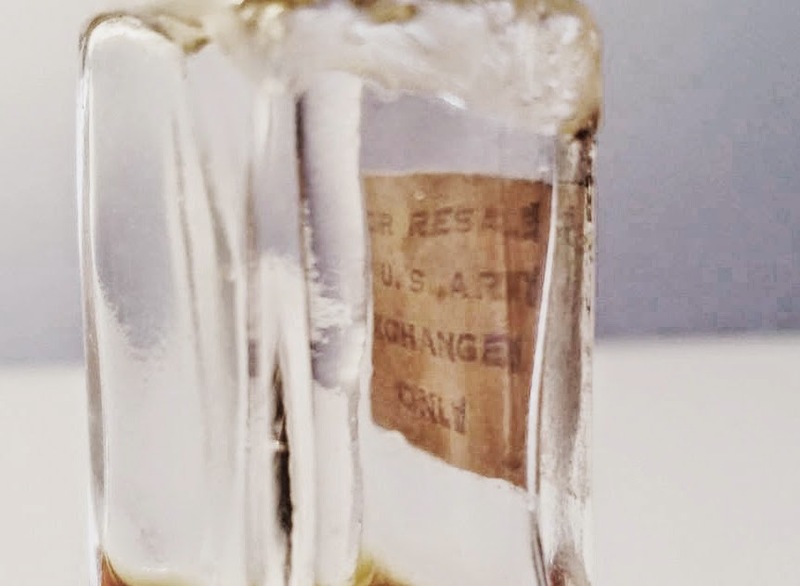 A forgotten and unmarked perfume bottle recently found in the 1930's Le Galion archives has now seen the light of day for the very first time. A captivating amber oriental, 222 possesses a certain warmth that makes for a stunning signature scent. A blend of precious woods, myrrh and styrax, leather, vanilla and oakmoss, this scent has a genderless appeal that is both sensuous and comforting. An exquisite creation which flits somewhere between Diptyque's vintage Tam Dao and Xerjoff's Modoc, 222 is arguably the warmest and most tactile of all the Le Galion perfumes to date, and has swiftly become one of the author's favourites. With endless beauty abound, Le Galion has well and truly set a course for renewed success in the two-thousand-and-teens. Armed with a flotilla of fine fragrances of exceptional quality and beauty, I am excited to see the next chapter in the course of this revered House's history. For more information, visit legalion.fr and for customers wishing to experience these scents here in Australia, they are now available through Peony Haute Parfumerie in Melbourne. Perhaps no other perfume has penetrated the global psyche in the same way as Gabrielle Chanel's Chanel No. 5. Since its launch 94 years ago, this iconic scent has sold more than any other known, and it's minimalist packaging and clean-cut square-shouldered flacon are instantly recognisable in every part of the world. In her fascinating book "The Secret of Chanel No. 5 - The Intimate History of the World's Most Famous perfume", author and cultural historian Tilar Mazzeo casts a shining light on the No. 5 story from birth until today. Not only an absorbing read for perfume nerds like yours truly, this book will appeal to Francophiles and history buffs for it's exceptional research and intelligent writing. But I'm not here to review the book... rather, to pull from it's pages something of great interest to me. 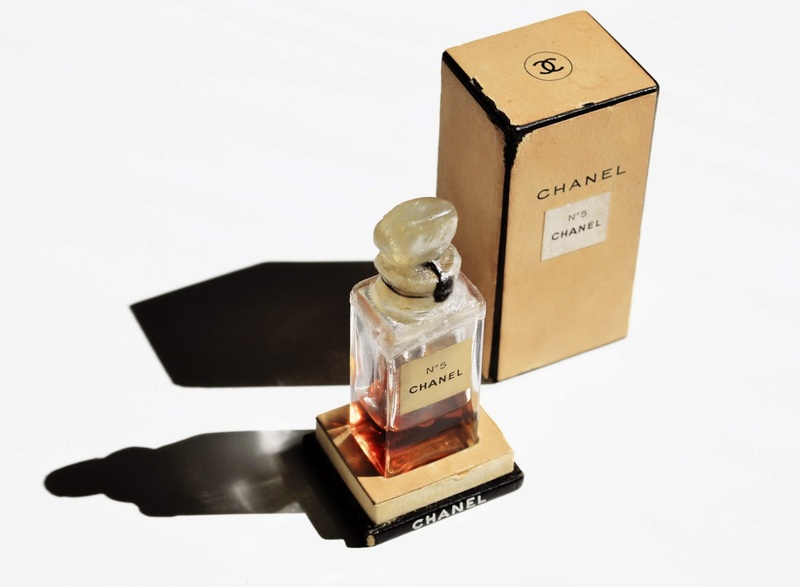 I was shocked to learn that Gabrielle Chanel signed over 90% of the rights to her legendary perfume in 1924, just a few years after it was cast onto the world stage. With the remaining stakes split between Theophile Bader, then-owner of the prestigious Galleries Lafayette (20%) and Paul and Pierre Wertheimer, brothers and proprietors of the perfume giant Bourjois in the US (70%) Gabrielle later spent the rest of her days living with a pang of regret. In this engrossing account of what transpired thereafter, the solicitous management and marketing of Chanel No. 5 largely impacted our cultural cognisance of it today, almost 100 years later. Here is where I wish to indulge myself and place a bookmark in the sweeping No. 5 timeline, if I may. One thing I found interesting about the marketing of Chanel No. 5 is how for almost 2 decades, it was regarded by many as completely inaccessible... a luxury item which, right up until the second world war, could only be afforded by the well-heeled. 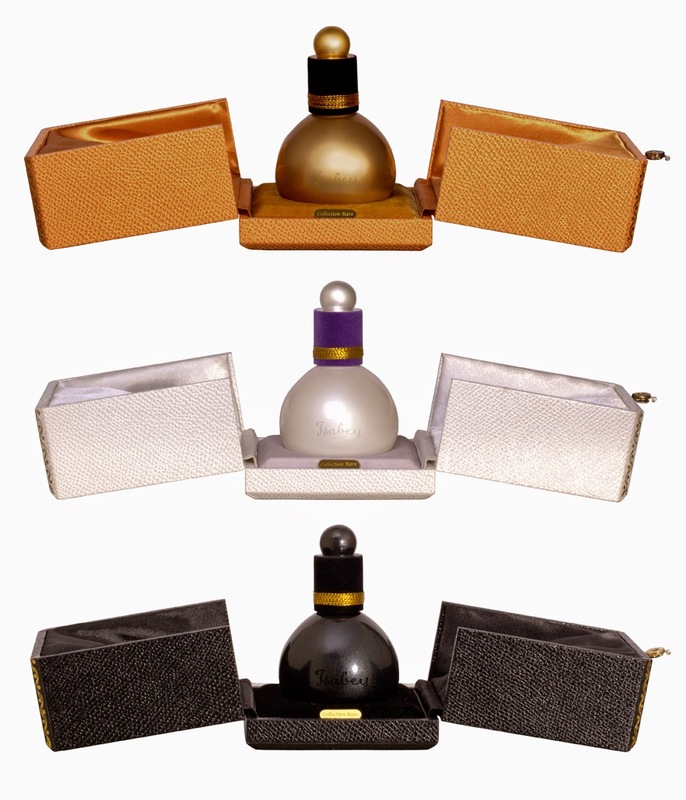 However, in the throes of WWII when resources were scant and little money remained to spend on lavish goods, the Wertheimer brothers made a risky decision to expand the perfume's distribution, offering smaller presentations at a lower price point so that it might appeal to a middle-class customer. A decision was made to extend availability to the hundreds of U.S Army Post Exchanges in the US and abroad; giving service men and women the opportunity to purchase Chanel No. 5 tax-free. At the time Gabrielle Chanel though it a preposterous idea and an erosion of it's exclusivity, but the sales it generated - and the new wave of No. 5 admirers it garnered - shot into the stratosphere. It is rare to discover an example of a wartime U.S Army issue of Chanel No. 5. Here is such an example from the author's personal collection. "FOR RESALE U.S ARMY EXCHANGES ONLY"
I can't help but be charmed by such sweet keepsakes from a time of war. Perhaps it was purchased by a G.I, intended as a gift for his sweetheart? Such is the romance and classicism of Gabrielle Chanel's celebrated perfume. For as long as we draw breath, the world may never again see such an iconic name nor iconic scent weave its way into the tapestry of mankind. Chanel No. 5 charms us today, just as she did the heroes of yesterday. For a look at Chanel's illustrious history, visit the illustrated timeline presented on "Inside Chanel".